Three of the big four banks have been found to increase their financing of fossil fuel energy over the past year, despite all promising to support the transition to a low carbon economy following the Paris Agreement. 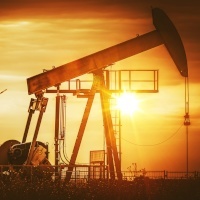 A report from advocacy group Market Forces found that while the major banks’ exposures to coal, oil and gas has been falling year on year, in 2018 the reported investments from ANZ, NAB and Westpac gained in non-renewable sources. Westpac increased its exposure to coal mining in the last year by 140 per cent, investing $1.4 billion in the sector while ANZ upped its exposure by 27 per cent, giving $1.4 billion in 2018. The two banks had both said they would restrict finance to coal mines, with Westpac committing to the measure in a 2017 policy and ANZ’s chairman David Gonski in the same year telling shareholders that the bank’s lending to coal would continue on a downward trend into the future. On the other hand, exposure to coal and gas power was down at every big four organisation, while investment in renewable energy jumped significantly, with the exception of ANZ, which declined by 5.7 per cent. The report found CBA was the only bank to decrease its financing across each of the fossil fuels categories: coal mining, oil and gas extraction, coal power and gas power. The biggest decline in backing for fossil fuels in 2018 came from CBA, where its investments in coal power just about halved from $400 million to $200 million. A scorecard published by Market Forces in May 2018 showed that the banks had collectively loaned $21 billion to fossil fuels since supporting the Paris Agreement, including lending to new projects. NAB’s investment in renewables last year was the largest, increasing by 41.8 per cent to $4.28 billion. CBA followed with its exposure increasing by 33 per cent as it placed $3.7 in the renewables sector. Exposure to oil and gas extraction increased at all the major banks excepting CBA, with NAB up by 9.5 per cent, ANZ increasing by 5.7 per cent and growth at Westpac of 5.1 per cent. CBA saw a decline of 4.9 per cent. CBA shed some exposure to coal mining by 7 per cent, as NAB remained somewhat steady, dropping 0.6 of a percentage point.